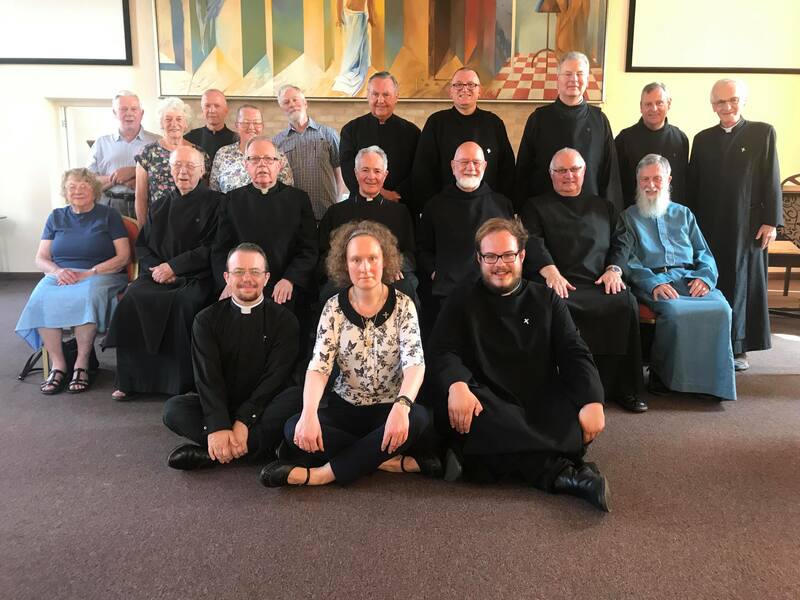 The brethren and some companions of the European Province gathered together for Provincial Chapter and Retreat in Ditchingham from 21st-27th July. The first three days were taken up with the business of Provincial Chapter – where the brethren met to discuss the life of the Province and to share news and report on our keeping of the rule. During Chapter, it was decided to change the two existing Colleges of the Province, to better reflect where brethren are today. Therefore, the Northern College was dissolved and the Hawarden College created. Hawarden was chosen as the name of the new College, because there had been a college based in St Deiniol’s Library (now Gladstone’s Library), from 1939-1948, when Alec Vidler, OGS was warden of the Library. Following Chapter, the brethren were joined by the companions and we entered into Retreat – which was led by Stuart Burns, OSB (of Mucknell Abbey). The Retreat was a chance to wait on the Lord together and Br Stuart guided our thoughts through some words of Br Roger of Taizé. The highlight of the Retreat was the Profession Mass, during which Br Ian Watt was made a probationer; Dominic Austin renewed his probation; three brethren renewed their temporary professions; and six companions reaffirmed their commitment to the Companions’ Rule.